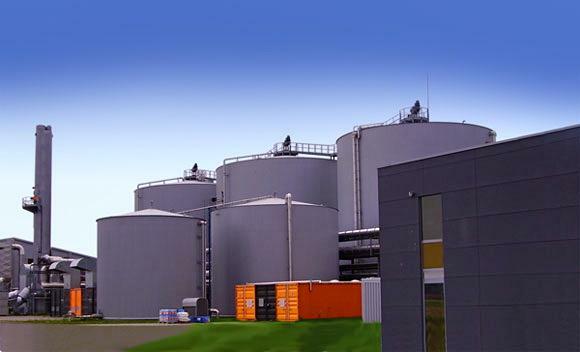 RCR was founded in 1988 in Switzerland and through its former subsidiary has developed a patented process that uses steam thermally to treat unsorted municipal, light industrial, commercial and agricultural wastes that can also include sewage cake, sludge and screenings to produce a cellulose-based fiber from which recycled ferrous and non-ferrous metals, plastics, glass and batteries can be mechanically extracted. It has been rigorously tested since 1994 with a commercial plant commissioned in 2000 that operated under strict regimes of control with a full Environment Agency operations license through to 2005 when it was taken down to make way for a larger facility on the same site. The thermal treatment process is set to rival the mass burn market alternatives such as incineration, pyrolysis and gasification in the treatment of MSW. The beauty of the process lies in its capacity to size-reduce raw waste by up to 85% of its original volume, while sanitizing and de-labeling all recyclable commodities and at the same time breaking down cellulose-based materials into homogenous fibers. The whole RCR Recursive Recycling Process achieves very nearly 100% diversion from landfill of both municipal solid waste and C&D wastes. In addition, apart from large size and untreatable articles, there is no need for pre-segregation of waste, which can be accepted straight from disposal vehicles. The true advantage of the system is that there is no obligation placed on the waste generator – whether a home, office or industrial site – to sort or segregate the waste streams. Ultimately this may lead to a streamlining of collection activities and schedules that would potentially reduce the upwardly escalating collection costs associated with current practices of segregated collection, which are borne by the local tax payer. Aluminum cans, steel food containers, plastic or glass bottles can be combined in the black bag waste and once treated in the autoclave will be clean and sanitized and free of food and beverage deposits, lacquers, labels and in a grade A state for sale to recycling concerns. The use of sophisticated proprietary post-treatment separation technology that is widely available around the world provides the means mechanically to separate and segregate the different recyclables such as clean metals with enhanced sale values. Glass; plastics; aggregates and textiles can be salvaged for re-use, while the sterile fibre can be converted into valuable, inert fibrous fuel from the organic fraction of the waste which is officially classified as a biomass. The Statutory Instrument 2003 No. 2562 that is known as The Electricity (Guarantees of Origin of Electricity Produced from Renewable Energy Sources) Regulations 2003. In these Regulations, unless the context otherwise requires – “biomass” is classified as the biodegradable fraction of products, waste and residues from agriculture (including vegetal and animal substances), forestry and related industries, as well as the biodegradable fraction of industrial and municipal waste. Consequently can be used as a feedstock to produce renewable energy, either electricity or ethanol. Something that a large part of the globe has pledged to support and encourage. size-reduced to produce a range of 60 different densified cement-based products such as self-leveling floors, grouts, tile cement, waterproof render, paints, and strengthening additives for regular readymix concrete. The products are not only lighter but are five times stronger than ordinary concrete and with an 80% content of recycled C&D waste. Textiles can be converted into fully EU approved and certified building materials using the micronized cement and binders. The cement/textile-based building block provides high levels of stability and extraordinary insulation qualities for applications within the Third and developing world as it uses both synthetic and natural fibers. Plastics can be sanitized and size-reduced following which sophisticated sorting equipment segregates the plastics into the seven plastic varieties and additionally in subsequent sorting by color. The segregated materials are shredded and converted thermally into plastic granules of virgin feedstock quality that are bagged and sold to third party converters for reuse. Some waste plastics contaminated with heavy metals derived from printer’s ink will be segregated and processed using EU approved plastic depolymerization process that converts these waste materials into premium grade, low sulfur diesel fuel. The whole RCR Recursive Recycling process captures and recovers within the primary treatment plant (usually based at the landfill where the MSW is delivered by franchised collectors, contractors or members of the public) all of the value that is inherent within the municipal waste stream and C&D wastes which can approximate to as much as $100 per ton. Sorted and sanitized recyclates in prime condition command market prices 30%-200% higher than outputs from MRRFs (Materials Resource Recovery Facility). 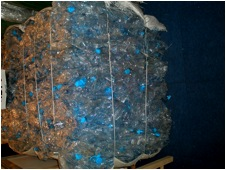 By concentrating all recovery and recycling activities under one roof ensures that the profits from these activities are captured within the plant and used to offset operating costs and to enable through the transparent Public Private Partnership (PPP) funding mechanism the payment to the municipality or jurisdiction in which the waste arises a profit share from the recycling activities. These same profits are therefore not lost to “middlemen”, transportation companies or facilitators who historically have purchased soiled and contaminated recyclates for very little and after minimal secondary treatment (or in some cases landfilling again!) the recyclates were sold on to end users. The profit share payments within all RCR’s proposals can be significant and often assist the jurisdictions to apply these profits to reducing the burden of costs associated with the collection and disposal of the whole spectrum of solid wastes. The individual functions and processes of this proposal and contained in the following pages are not novel. There are hundreds of reference sites globally (both elsewhere and in the USA) that adequately demonstrate the efficacy of each technology that has been assembled to form the basis of this proposal. 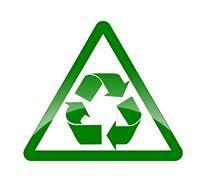 The remaining 50% of the waste stream is a clean, uncontaminated biomass made up of organic fractions. This cellulosic fiber has multiple uses, however it is envisioned that the most optimum long-term use is as a feedstock for the production of electricity. The biomass fibre can also be converted into synthesis gas for combustion in a gas turbine. 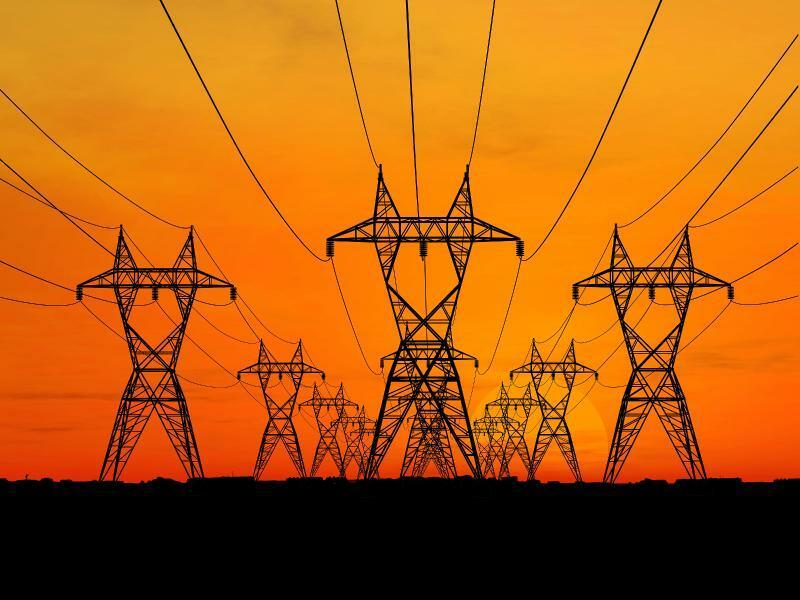 Either then produces net exportable electricity; as a rule of thumb an annual MSW tonnage of 250,000 tonnes will provide approximately 20 MW/hr of surplus electricity, which can be sold on to the utilities companies. The fiber can be used as a clean fuel to drive waste heat boilers to make process steam which is used within the STAG Recursive Recycling MSW treatment plant and the surplus to drive a steam turbine to produce green electricity to meet the parasitic load of the process plant and for export to the local grid. The system is self-perpetuating as the fuel can be then used to drive waste heat boilers, thus creating all the necessary process steam, together with a significant surplus, which can be fed through steam turbines, to generate electricity. Ethanol can be used as a vehicle fuel. There is no gasification, no combustion and no electricity generation because all of the yard waste, paper and organic waste (and some sewage sludge) is converted into this vehicle fuel which is completely free of all pollutants. It is a one to one replacement for petrol that we use every day in motor vehicles. The conversion rate will produce 43 gallons of vehicle fuel for every one ton of fiber – that means 100,000 tons of MSW will produce 50,000 tons of fiber that in turn will produce 2,150,000 gallons of ethanol. A typical 500,000 ton capacity RCR plant will produce close to 11,000,000 gallons. There is no requirement to modify any engine and the fuel economy is about 9% better and you can utilize existing fuel distribution and dispensing facilities. Harmful elements are extracted automatically from the waste stream by the process condensate for subsequent removal by filtration. Because the operation results in the production of clean, uncontaminated fibre, toxic emissions are practically eliminated from the burn cycle. 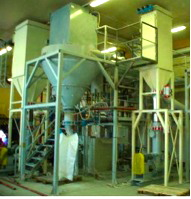 Compliance with all EU, UK and US air-quality standards is built into the plant design.